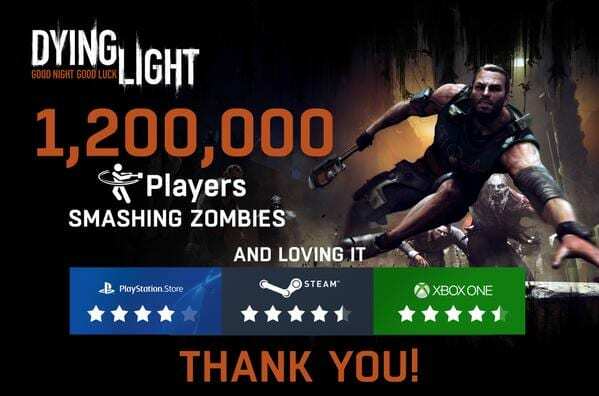 Dying Light may have seen a delay in most places in the world with its physical release, but that hasn’t stopped people downloading the game on their Playstation 4, Xbox One and PC, in fact since its digital release on the platforms last week 1.2 million people have played the game. News Flash: From the moment Dying Light got released right-up until yesterday we had over 1,200,000 unique players. Physical copies of Dying Light were delayed across the Middle East, Australia, Asia and Europe because “physical production has a longer lead time”, however the game did launch everywhere in the world via the digital front on January 27. Since then, more than a million unique players have played the survival horror title and battled to make it ’til daybreak.